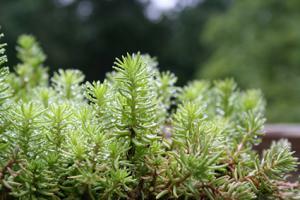 Stonecrops (Sedum spp.) 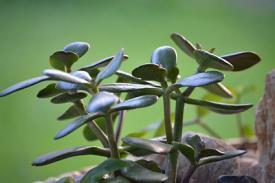 are a large group of succulents known for their colorful foliage and tolerance of harsh growing conditions. They are among the most diverse, adaptable, and beautiful of all succulent species. Stonecrops are so named because of their tendency to grow in rocky cliffs and crags - places in nature with little soil or moisture available and subject to a wide range of temperature extremes. Succulents and cacti are often found in such inhospitable places, but stonecrop is also adaptable to ordinary garden soil, which many other plants with a similar appearance are not. This combination of traits has made stonecrops some the most popular succulents for home gardens. Stonecrops thrive in extreme heat, but they are also among the most cold-hardy succulents. On the whole, they are hardy in USDA zones 3 through 11, though cold hardiness varies somewhat among individual varieties. They need at least a half day of sun and good drainage, but otherwise stonecrops can tolerate almost any type of environmental condition. On the whole, stonecrops are known more for their foliage than their flowers, but the blossoms are notable on many species. Stonecrops have smooth-textured foliage in a range of colors from green to grey to orange to purple and burgundy. Leaf shape is highly variable among the many varieties - some are flat and broad; others are long and pointy; some are shaped like teardrops. Individual stonecrop flowers are star-shaped and less than a half-inch across though on some species they are found in clusters up to four inches across. They come in shades of white, yellow, red, and several other colors. Stonecrops are known for being very neat, tidy and compact plants. Most are tiny, mat-forming groundcovers just a few inches tall. A few have an upright growth habit, however, with stalks that reach up to 24 inches high. Their adaptability to environmental conditions and diversity of form makes stonecrops a major ally in landscape design. They are an excellent choice for any arid climate themed garden (Tuscan, Southwestern, desert) or any type of xeriscaping (low water) planting. The trailing types are a good small scale groundcover, especially for rock gardens. They can even be planted in tiny pockets of soil inside stacked stone walls. The upright varieties are often used in perennial borders, where they fit right in with species like coneflower and yarrow. Many attract butterflies and can be used in habitat gardens and cottage gardens. 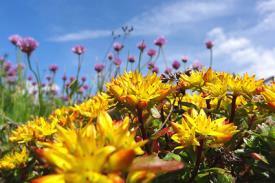 Sedums are also one of the most widely used species for green roofs. 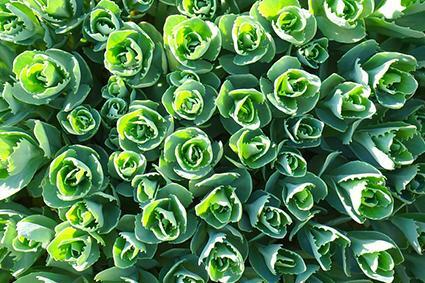 Other than planting them in a location with free-draining soil and at least four hours, preferably six or eight hours, of direct sun each day, there is not a lot to know about growing sedum in your garden. They can be planted at any time of year that the ground isn't frozen, though if you put them in the ground in the middle of summer, they will need a bit of water to get their roots established. Afterwards, they are completely drought tolerant. There is no need for fertilizer with stonecrops. 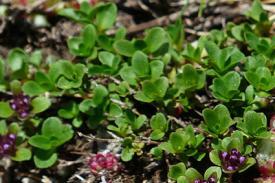 There is generally no need for trimming the groundcover species, which generally takes away form their appearance. The upright varieties should be cut to the ground after they are done flowering in fall though you can leave the decorative seed heads through the winter if you want and cut the stalks down just before new growth emerges in spring. The upright varieties should be divided every few years in spring and may need to be staked to prevent the flower stalks from flopping over, especially if they are not growing in full sun. Stonecrops will slowly rot and dies if planted in excessively moist conditions, but otherwise they rarely suffer from any form of pests or disease. Aphids are the one pest that occasionally occurs, but usually not in numbers that warrant taking action against them. 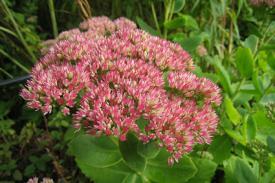 Sedum types are generally divided based on growth habit: groundcovers and upright varieties. The latter are typically used in perennial borders. Many named varieties are available in garden centers throughout the country. 'Dragon's Blood' is a creeping red sedum known for its fiery foliage and is hardy in USDA zones 3-9. 'Blue Spruce' has foliage that resemble tiny blue spruce trees and is suitable for USDA zones 3-11. 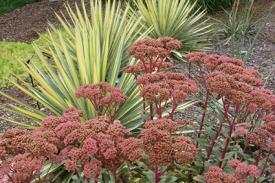 'Autumn Joy' grows up to two feet tall with greenish-grey foliage and pinkish-red flowers in fall. Plant it in USDA zones 4-11. 'Black Jack' has the same growth habit, but the foliage is a deep purple, nearly black, and the flowers are a deep burgundy color. It's hardy in USDA zones 3-9. Stonecrops are so easy to grow and come in so many shapes and colors that they are a succulent lovers dream. They are also incredibly easy to propagate - just clip off a stem, leave it on the surface of the soil for a few weeks, and watch it start to form roots!